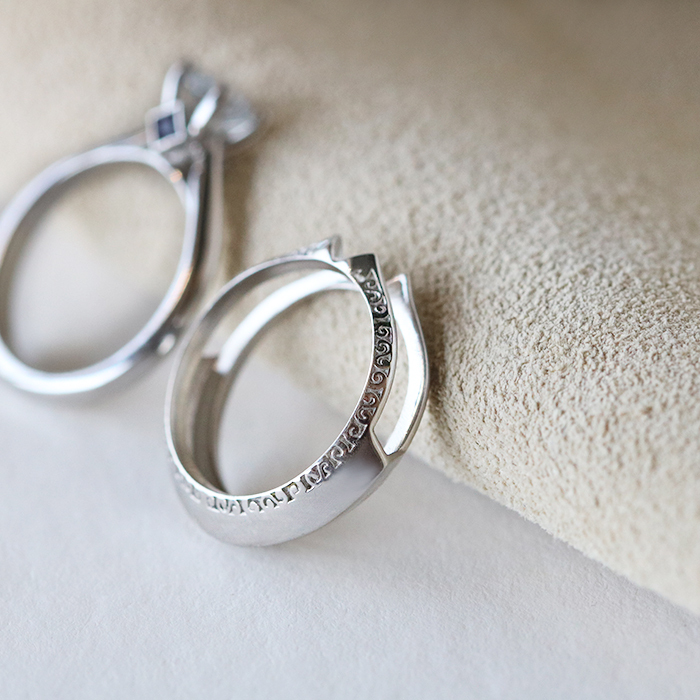 Our designers love bringing your ideas to life—and that goes beyond engagement rings. 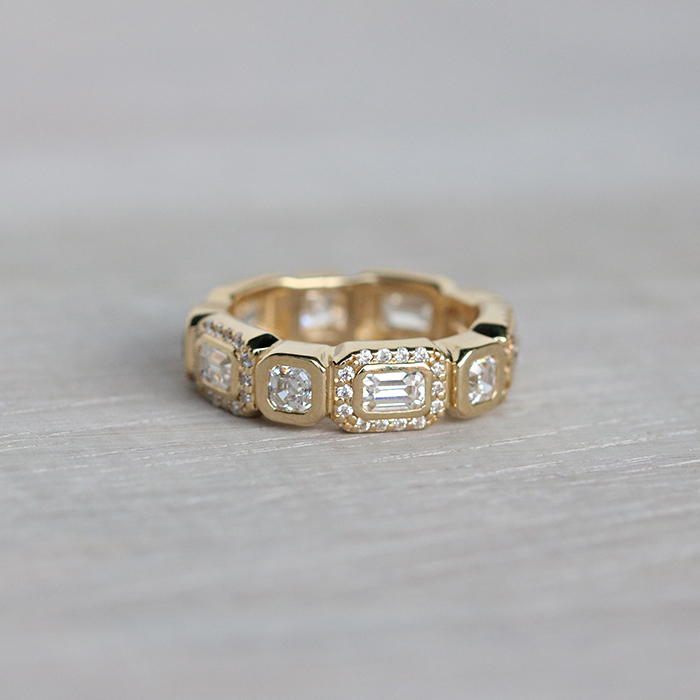 Creating your own custom jewelry and wedding bands make these heirloom pieces extra special. 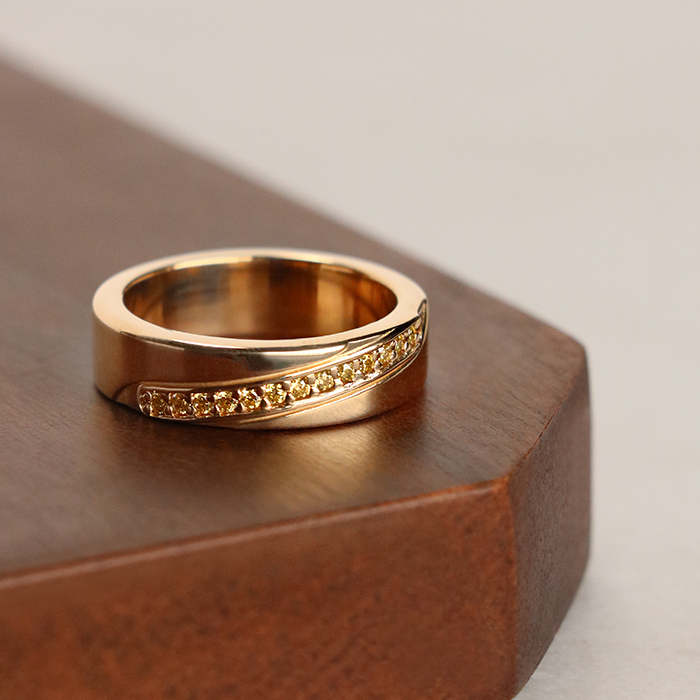 These are some of our favorite custom wedding band designs. 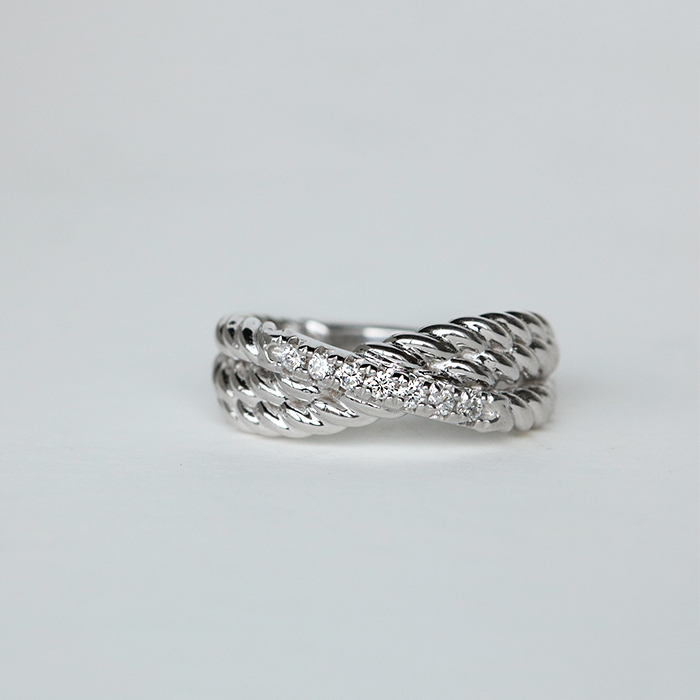 An eternity band is a ring that is set with stones all the way around the entire band. They can range from very subtle to ultra-glam, and be worn alongside an engagement ring or rocked alone. 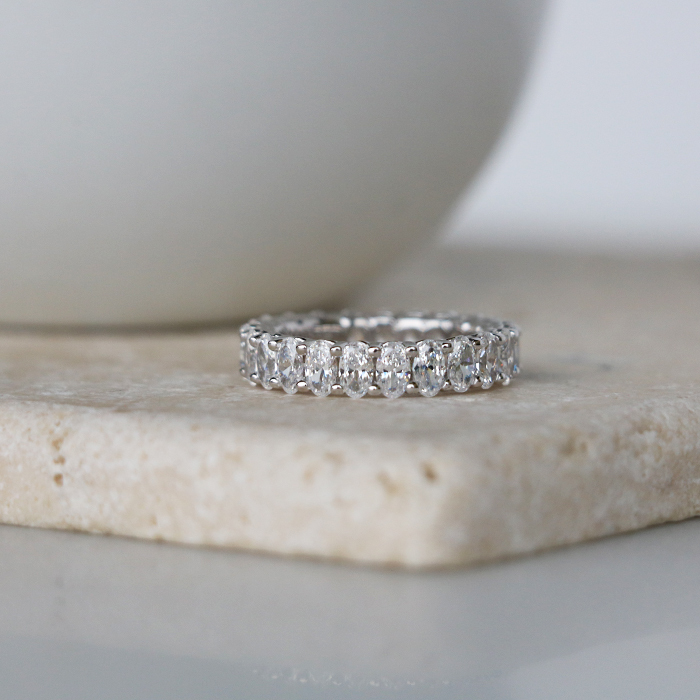 This is an eternity band in more ways than one! It is inspired by the infinity symbol. Its light, airy design balances the intensity of the sparkle. 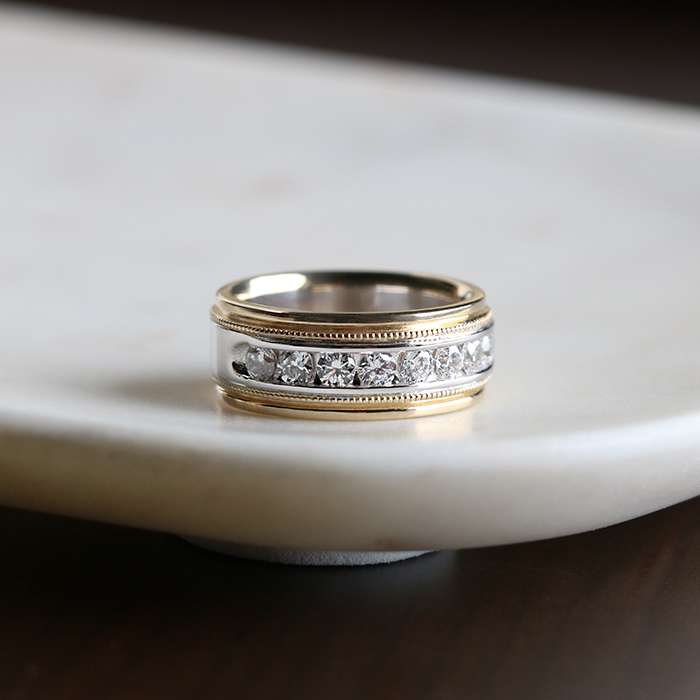 This eternity band shows definite Art Deco influences. Emerald and Asscher cut stones alternate in bezel settings. The added halo accent make it feel more feminine lightens the visual weight. 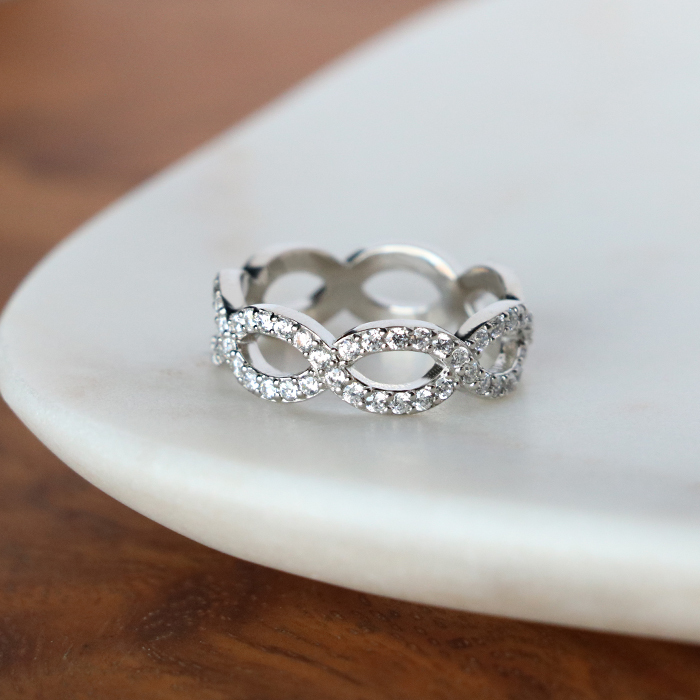 Using vertically-set Oval cut stones, this eternity band feels modern and glamorous. The settings are lower so the ring sits closer to the finger and makes is quite comfortable to wear. Add color to a wedding band with rubies, emeralds, sapphires or canary stones. You can make the color stone a focal point, or design it to blend seamlessly with metal tone. This bold band creates the illusion of a stack of rings. 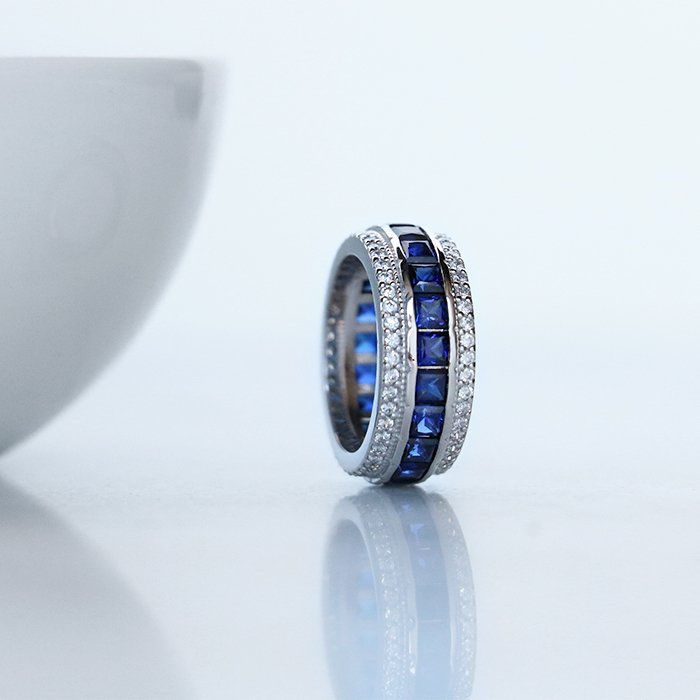 It looks like a sapphire band stacked with two dainty accented bands. The mix of smooth metal and milgrain detailing creates a textured contrast. Canary stones in yellow gold create a monochromatic look that we love. The effect is almost more textured than sparkly, making this a subtle but clever style statement. Metalwork should never be ignored when designing a band. Adding texture creates visual interest—from vines to ropes to scrollwork, metalwork puts your stamp on a design. This rope-inspired band suggests a knotted coil of rope. We love the meaning behind it as much as the fresh style. The subtle accent stones give just the right amount of sparkle. Two-tone metal creates a contrast that grabs the attention. Subtle milgrain metalwork creates lovely texture that balances the large accent stones and finishes off the design. This unique jacket-style band encompasses the engagement ring. Etched metalwork on the edges create texture that breaks up the smooth metal, making the substantial ring feel more delicate. Tell us about your ideal band design in the comments! The one with the oval cut stones looks appealing, paired w/an engagement ring w/same, topped with a large centre stone, perhaps an oval, or even a contrast, like a 6-pronged 2.04 round.